PROJECT SPOTLIGHT: THE University of Texas Engineering Education and Research Center - Zero/Six Consulting, LLC. In the Fall of 2017, the Engineering Education and ResearchCenter (EERC) at The University of Texas at Austin transformed engineering education through cross-disciplinary teaching and research. The state-of-the-art facility boasts flexible classrooms, student project laboratories, and new research space that facilitates advanced teaching techniques to bring together students, faculty, and researchers to redefine engineering education for the 21st century. Totaling over 400,000-square-feet (sq. ft.), the modern, open-concept facility is the Cockrell School’s largest multidisciplinary building. The effect of which increased enrollment by 1,000 students to a total of more than 6,000, as well as increased the number of innovative engineering faculty members that collaborate to solve critical challenges within the industry. designed by ten different companies. The building envelope process is like that puzzle; consisting of a collective of multiple design components coming together for the first time on-site. Building Information Modeling (BIM) puts all the pieces together virtually so that multiple design elements come together on-site with identified design mistakes and oversights corrected prior to construction. By combining the envelope drawings and structural model into an intelligent 3D design, Zero /Six was able to identify issues that would have been costly to remedy once the pieces came together on-site. “To the best of our knowledge, nobody has ever attempted to create a composite envelope BIM model,” said Bill Coltzer Jr., AIA, President at Zero /Six. 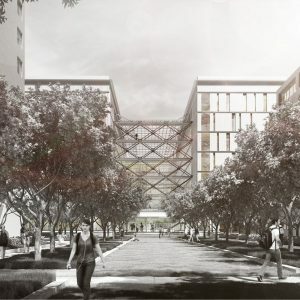 “So, in April, we found ourselves sitting in an exterior envelope pre-construction meeting for the new EERC building; when they asked who could create a Composite Building Envelope BIM Model, we raised our hand. Originally this document was intended to be a virtual clash detection tool that would find issues. As the process evolved and the lack of cohesiveness in assembling components together became evident, we switched gears and instead provided Hensel Phelps a large change order that was ultimately the basis of construction for the entire exterior envelope. In the end, this was much more convenient for the construction team because they were able to spend more time managing construction and much less time sending the architect RFI’s,” added Coltzer. pattern appears random, there are only 3 primary stone widths on the building façade. Had Zero /Six altered the stone to make more room for other components, the price of manufacturing and installing the stone would have increased significantly. Without participation from all parties, the coordination effort would not have been a success. 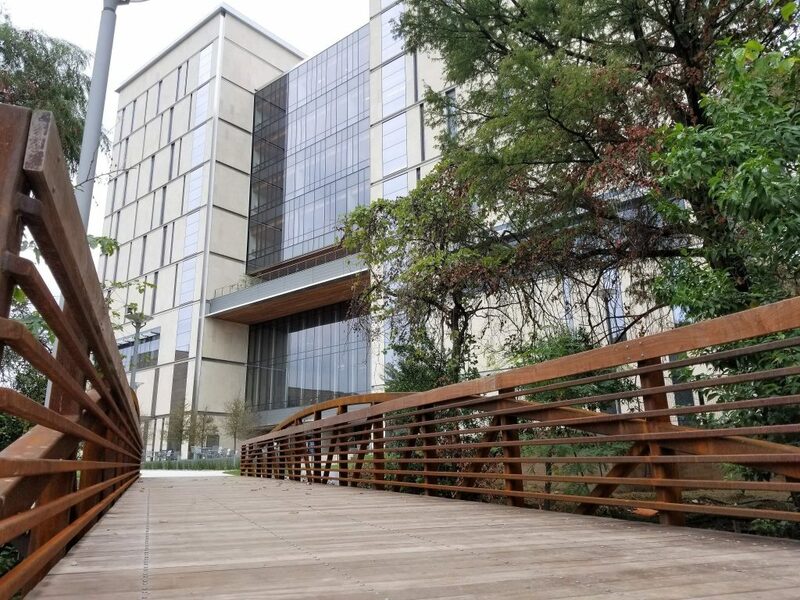 The University of Texas EERC project was not a pain-free job; however, many of the potential construction errors were avoided by using BIM coordination tools and subcontractor collaboration. be made prior to installation in the field. Though BIM is not a new technology, the process of integrating BIM technology into the construction phase is a critical step that should be incorporated in the future so that issues are identified virtually within the composite model before becoming a reality on the construction site.